The Huskies travel to national power Cal State Fullerton for their first Super Regional berth. Game 1 is set for Friday morning. Reminders are all around the Washington baseball facility. The Huskies make clear their No. 1 goal: to get to Omaha, Nebraska, home of the College World Series. Unexpectedly, the Huskies did arrive in Omaha last week. It wasn’t their final destination, just a place for their chartered plane to refuel midway through the flight from Seattle to South Carolina for UW’s NCAA regional appearance. The Huskies didn’t even exit the plane, but they did see the 45-minute layover as a serendipitous stop at the start of their postseason push. After sweeping through the four-team regional in South Carolina last weekend, the Huskies earned the program’s first berth to the Super Regionals. They are now just two wins away from their ultimate goal, and all that stands in the way of the College World Series — and a formal return to Omaha — is Cal State Fullerton, a perennial national power that has been to the CWS 19 times and won four national championships. The Super Regional in Fullerton is a best-of-three format. Redshirt freshman left-hander Lucas Knowles (5-5, 4.01 ERA) is scheduled to start Game 1 for the Huskies. First pitch is set for 11 a.m. Friday on ESPN2. Game 2 is scheduled for 3:30 p.m. Saturday (ESPNU) and Game 3, if necessary, is set for 6 p.m. Sunday (ESPNU). The Huskies (33-23) and have won 10 of their last 12 games, and won their final five Pac-12 series to sneak into the postseason. “We’re hot and we’re feeling good,” second baseman A.J. Graffanino said. 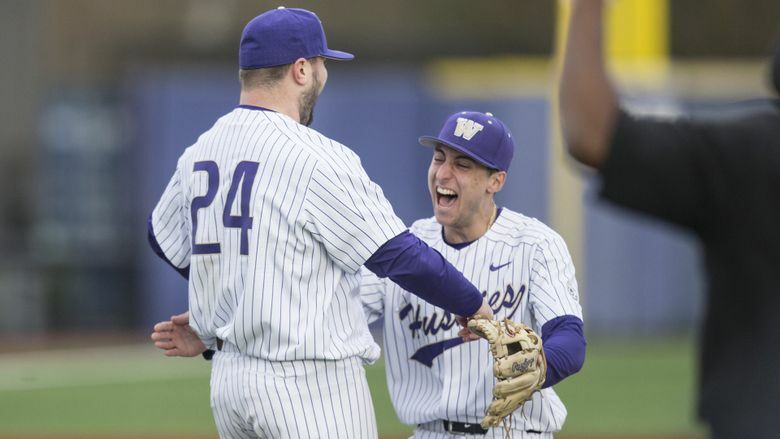 UW coach Lindsay Meggs said the Huskies’ success this season is not only a sign of the program’s rise in prominence, but also of the strength of baseball in the Northwest. The Huskies’ roster includes 19 players who attended high school in Washington. After a rough start to the season — they had a 7-8 record their first month — the Huskies went 20-10 in the Pac-12 and on the final day of the regular season were one inning away from winning their first conference title in 20 years. Still, with an RPI of 63, the Huskies were believed to be one of the last teams to earn a postseason bid. “Not many people have talked about our program,” Meggs said. “You’ve heard all this RPI stuff and where we are, and I’ve always laughed at that. One of my biggest hopes is this is a great example that the RPI needs to be blown up and reevaluated. It’s silly. — The Huskies are 0-8 all-time against Fullerton. In their last meeting, in 2011, the Titans swept a three-game series at home against UW. 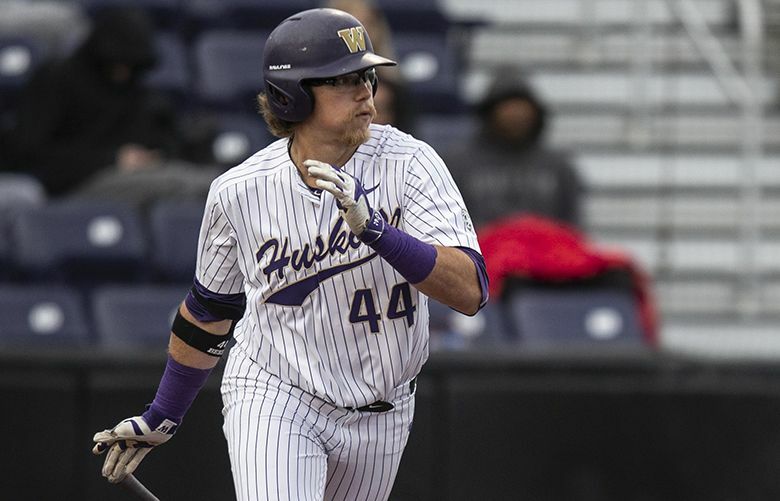 — The Huskies had four players selected in the MLB draft this week: A.J. Graffanino (eighth round, Atlanta Braves); catcher/third baseman Willie MacIver (ninth round, Colorado Rockies); junior pitcher Joe DeMers (11th round, Oakland A’s); and Levi Jordan (29th round, Chicago Cubs).